What are the top skincare trends going to be in 2019? An internationally acclaimed skincare brand favoured by the rich and famous is now available at a Bristol clinic for the first time. Treatments using Biologique Recherche, the French skincare line used by the likes of Madonna, Sharon Stone, Brad Pitt and the Olsen twins can be found at EF MEDISPA on Whiteladies Road, bringing 30 years of beauty innovation to the city. 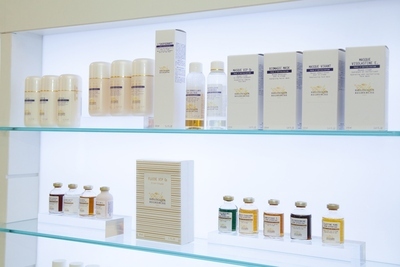 EF MEDISPA is the only clinic group in the UK where Biologique Recherche products and treatments are available. Made with a high concentration of botanical, marine and biological extracts, these highly active products contain no artificial fragrances and are established in the industry as a cult favourite. The clinic, which opened on Whiteladies Road in May, will be offering a selection of Biologique Recherche treatments as well as products to take home. Treatments aim to restore a youthful glow and hydrate, renew, protect and lift, depending on the individual’s needs. EF MEDISPA Bristol owner, Elena Hunt, said: “The Biologique Recherche facial treatments available at EF MEDISPA are all bespoke to each client, focusing on the skin’s individual needs at that exact moment in time. This is called the ‘skin instant’ – our skin changes several times in a single day, as well as during the course of our lifetime. For more information or to book your free consultation with an EF MEDISPA Treatment Coordinator, visit efmedispa.com.